Vincent Security | Fire Attenuation Screens – Does Your Apartment Have Them? Fire Attenuation Screens – Does Your Apartment Have Them? One of the draw cards of modern apartment living is being close to the city, a stone’s throw from its vibrant nightlife, attractions and convenient public transport. The upside is there aren’t any weeds to pull or lawns to mow. But apartment living doesn’t come without its downside. One of the greatest pitfalls of living in an apartment is your close proximity to your neighbours. They might only be a wall, ceiling or floor away. This means their actions have a direct impact on your safety. If a pan of hot cooking oil is left to bubble away on a stove or a burning candle is forgotten in apartment 27, what’s to stop the fire spreading and engulfing the whole building? Fire attenuation screens are just one of the safety measures that can slow or even stop a fire from spreading. They can buy you time to make a safe exit or evacuate the building as well as protecting your property. What is a fire attenuation screen? The word ‘attenuation’ has traditionally been used to describe a means of reducing the strength of a signal. In the context of fire safety and prevention, a fire attenuation screen is installed to reduce the likelihood of a fire spreading and taking hold. They can be fitted over the windows of an apartment as part of an overall fire safety strategy. Fire attenuation screens work in much the same way as an old-fashioned fire guard placed in front of an open fire. They work by preventing embers or burning debris from entering or leaving an apartment. This can significantly slow the progress of a fire to other apartments within the complex or in an adjacent building. They may also have the effect of massively reducing radiant heat from a fire by diffusing it across the surface of the screen. This means a reduction in temperature on the side of the screen that is facing away from the fire. Other types of fire attenuation screens can be made from glass or glass blocks that are heat-resistant. These are heavier, however, and a more expensive solution. They can also impede air flow to, and within, an apartment. Screens provide an attractive, cost-effective solution. The benefit in reducing radiant heat lies with a corresponding reduction in the likelihood of spontaneous ignition (things catching fire because of radiant heat as opposed to direct contact with flames). Many items of furniture and fixtures in an apartment are highly combustible. Correctly designed and fitted fire attenuation screens should be just one of a number of fire safety measures incorporated in an apartment building. Other measures include sprinkler and alarm systems, drenching systems, the installation of fire doors and use of fire retardant building materials and insulation. Fire attenuation screens are normally comprised of a rigid square or rectangular frame and mesh that functions like a spark arrester. They must comply with Australian Standards, specifically AS 1530.4-2005. This Australian Standard relates to ‘Methods for fire tests on building materials, components and structures’. 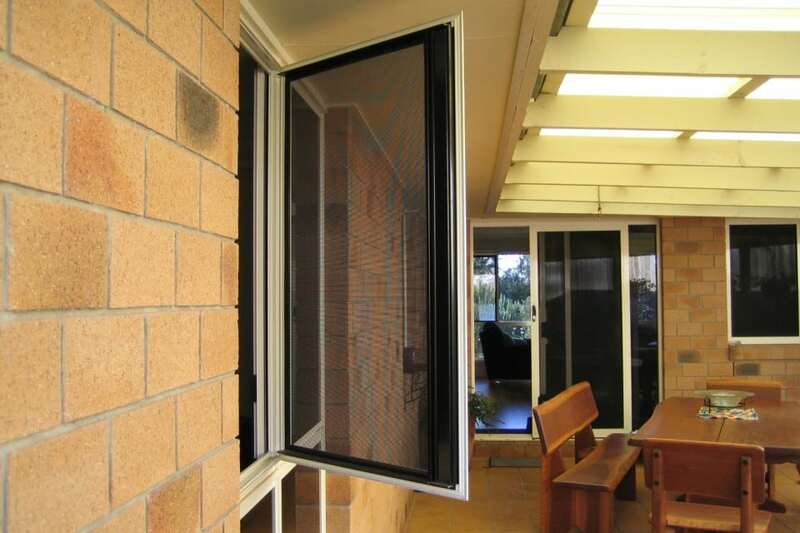 Fire attenuation screens are also featured in the Building Code of Australia. In fact, the installation of fire attenuation screens is mandatory where buildings are in very close proximity to one another or in very close proximity to the boundary of the property. Fire attenuation screens subjected to stringent testing in trying conditions by the CSIRO can receive certification. CSIRO certification is a key indicator pointing to the reliability of a fire attenuation screen. Screens must also meet the exacting standards of the Queensland Fire and Rescue Service (QFRS). Fire attenuation screens can also perform some secondary functions. They can prevent falls from apartment windows, for example. This can give you a great deal of peace of mind if you live in an apartment and have young children. They perform a secondary role as a security screen, which is particularly important if you have a ground floor apartment or lower-level apartment. Fire attenuation screens also act as an insect screen, keeping mosquitoes and other nasties at bay. Finally, a good screen can assist you to maintain a more even temperature in your apartment. Depending on the time of year, they can also improve the efficiency of either your heating or cooling system and save you money. • The outcome of a Fire Safety Assessment and report prepared by a Fire Safety Engineer. • whether additional fire safety measures are needed in conjunction with fire attenuation screens. There are also special considerations and regulations governing the installation of screens in bushfire-prone areas but they won’t be discussed here. There are many different options available if you’re looking at fire attenuation screens. Vincent Security can help you sort the wheat from the chaff when considering your screen options. Vincent Security endorses the use of Crimsafe fire attenuation screens as they’re an established market-leader in this field. Crimsafe fire attenuation screens are manufactured strictly in accordance with Australian Standards and are CSIRO-certified. We proudly supply and fit Crimsafe fire attenuation and heat attenuation screens and can assist you in meeting your fire prevention obligations. Contact Vincent Security today on (07) 3849 4555 to discuss your specific fire safety needs and for an obligation-free measure and quote.